The only system available that eliminates all hand labor! 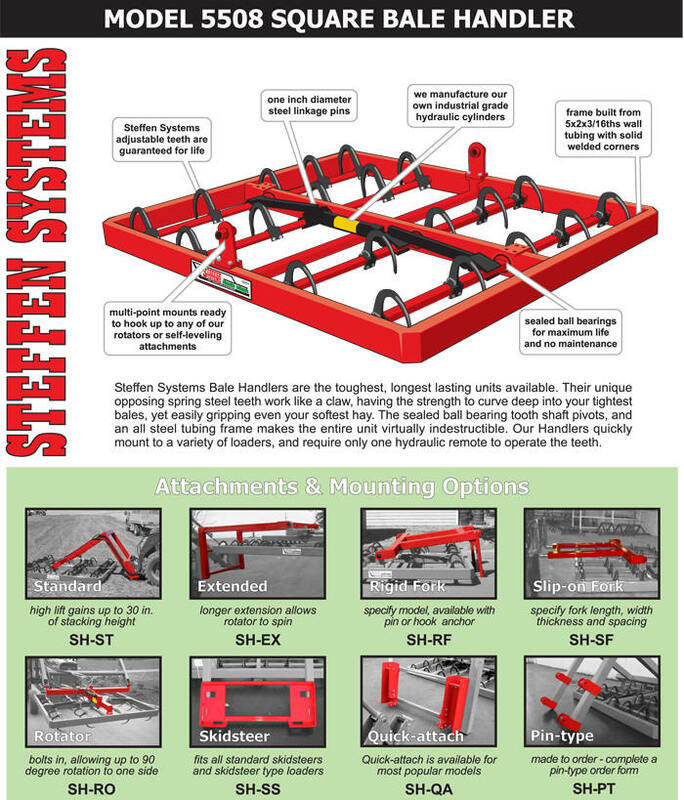 At Steffen Systems, all of our products are designed and constructed to outlast any competing products. We craft each item with pride using the best materials available - including heavy wall steel tubing, special high strength alloy steels, custom manufactured hydraulics, bearings or hardened steel bushings at all wear points and acrylic Urethane paint. 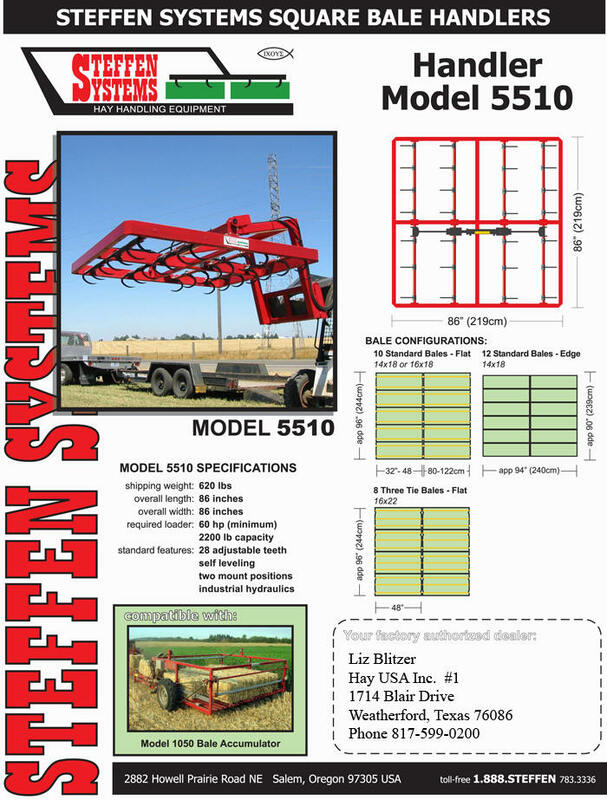 Steffen Systems Bale Handlers are the toughest, longest lasting units available. 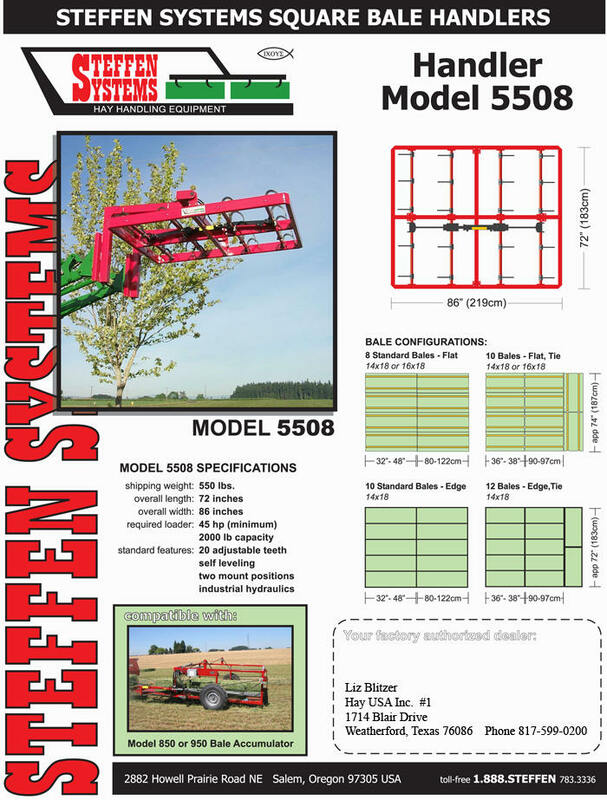 Their unique opposing spring steel teeth work like a claw, having the strength to curve deep into your tightest bales, yet easily gripping even your softest hay. The sealed ball bearing tooth shaft pivots, and an all steel tubing frame makes the entire unit virtually indestructible. Our Handlers require only one hydraulic remote to operate the teeth, and quickly mount to a variety of loaders. 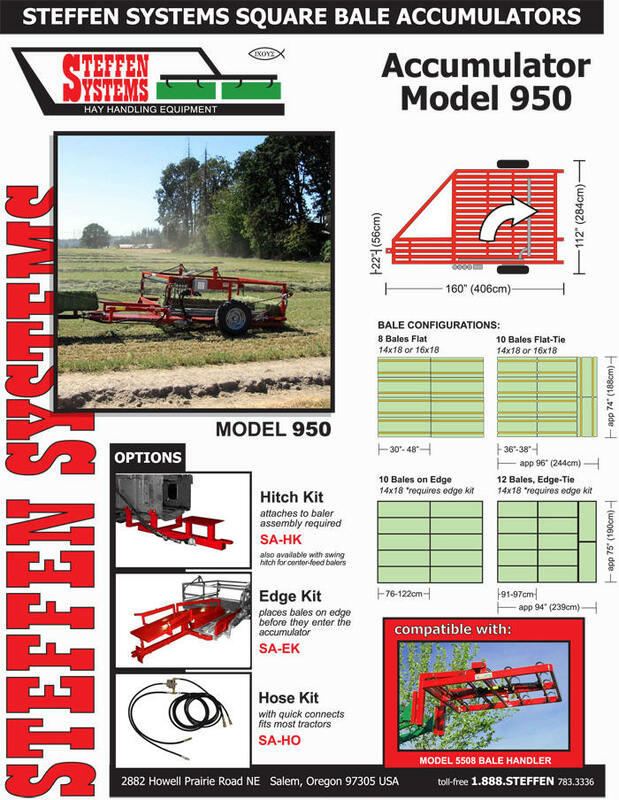 Great for small ranches and farms, the model 2504 is very versatile and will cut your labor dramatically! In addition to our bale handlers and accumulators, we also manufacture our own line of loaders, high-density bale compressors, low density bale conversion systems, extra-heavy-duty container loaders and our bale squeezes. Each of these product lines are the result of decades of innovation, field testing and product improvement. 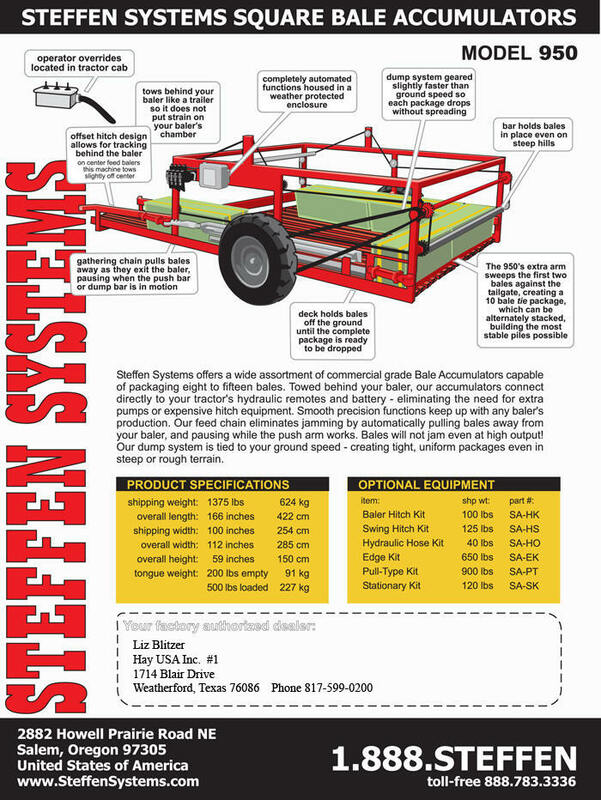 For nearly 40 years, Steffen Systems has designed a wide variety of specialized machinery for packaging, transporting, converting and processing small square bales of hay and straw. Most of these products have been unique to our brand, having been developed at the request of our customers.